Dana James Hutton was born May 31, 1934 and died on June 2, 1979. 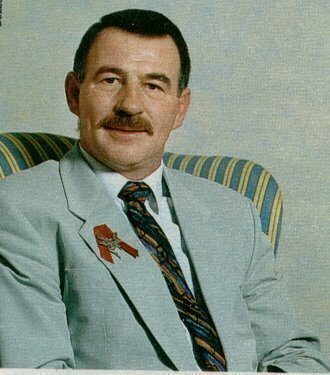 He is typically credited as Jim Hutton. He was an American actor in both film and television. He was born in Binghamton, New York. He was performing in live theatre in Germany during his time spent in the United States Army when he was discovered by American film director Douglas Sirk. Back in Hollywood, he became quite popular with teen audiences for playing a part in the 1960 college student film Where the Boys Are. He appeared in the film with Paula Prentiss, an actress he would be paired with in many of his early films, partly because they were the tallest contract players in their time. Hutton stood at 6’5″ while Prentiss was 5’10”. He would act alongside Prentiss in The Honeymoon Machine late in 1960, followed by 1961’s Bachelor in Paradise starring Bob Hope and Lana Turner, and lastly The Horizontal Lieutenant in 1962. Hutton captured a wider audience in Walk, Don’t Run (1966) with Samantha Eggar and Cary Grant. Due to his tall, gangly frame and the absent minded quality of his delivery, he was often thought of as a successor to James Stewart. Though he was a talented comedic actor, he also took on dramatic roles including Sam Peckinpah’s 1965 western Major Dundee. In 1968 he appeared in the John Wayne acted/directed war drama, The Green Berets, in which he played “The Scrounger”. Hutton went on to become the star of the TV show Ellery Queen which ran for only one season, 22 episodes plus the pilot. The show was said to be way ahead of its time. It was wet in the 1940’s, mystery writer Ellery Queen would help his father solve complex murder cases. Hutton played Ellery a deep-thinking, thoughtful, dignified young man despite the fact that he was 40 when the show began production. David Wayne played Richard Queen, Ellery’s police inspector father. John Hillerman played Simon Brimmer, Ellery’s main competition. Simon was a radio show detective who would perpetually try to solve the same case Ellery was attempting to solve. Early findings suggested that the series was too intellectual for the average viewer who did not wish to make an effort to keep up with a plot or a series of clues, and who also preferred to passively watch shows for only entertainment purposes. This reason alone resulted in the shows failure. But the show’s writers; Peter Fischer, Richard Levinson, and William Link would produce a very similar show nine years later instead altering the male lead for stage and screen legend Angela Lansbury. The show was dubbed Murder, She Wrote and it has been called a carbon copy of Ellery Queen because of its many guest stars, long list of red herrings, hidden clues and many convoluted plot turns that Jessica/Ellery would effortlessly solve and explain by the end of the show. Hutton’s final film of his career was a 1975 exploitation film called Psychic Killer. It has been considered a good film with unneeded gore scenes that were simply added for effect. He portrayed a man who was wrongly accused of killing his wife and consequently sent to a psychiatric ward. Once released, he gets his revenge by killing all those involved in sending him to the institution by using voodoo, a skill learnt from a fellow inmate. Hutton died on June 2, 1979 from liver cancer. He died just before his son Timothy would gain recognition and fame with a supporting role in the film Ordinary People.